Opposition chairman condemns attack near Ariel: We are all united around Rabbi Ben Gal's family. 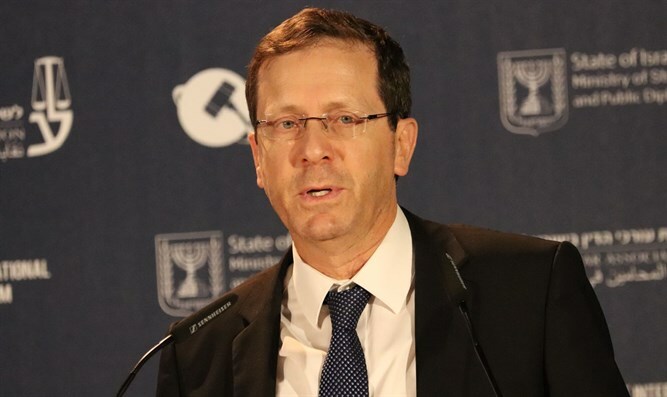 Opposition leader MK Yitzhak Herzog (Zionist Union) condemned Monday's terrorist attack at the entrance to Ariel in which Itamar Ben Gal was murdered. “At this moment we are all united in heavy grief over the death of Rabbi Ben Gal. This is a murderous crime. This is the second murder in recent weeks of a rabbi, of a halakhic figure, a person of education and also a family man, a father,” Herzog told Arutz Sheva. “We have lived through terrorist attacks in the past and unfortunately we will continue to experience terrorist attacks, but we will act, we will not be deterred. I suggest that we leave the conclusions that everyone always tries to push after such attacks to the appropriate time in which we will be able to discuss them. At this moment we are all united in prayer in memory of Rabbi Ben Gal and in sending deep condolences to his family,” he added. Investigations into Monday's attack indicate that the Arab terrorist arrived at the bus station at Ariel's entrance, stabbed Ben Gal and began running away. An IDF officer who identified the terrorist pursued him in his car and hit him - but the terrorist managed to enter a vehicle and flee to a nearby village. It has been revealed that the terrorist is an Israeli citizen who lives in Jaffa. In the past, he lived in the Shanti House for runaway, homeless youth in Jaffa, but staff found out he was occasionally visiting Shechem and informed him he would not be able to continue living there if he did not stop with these trips. As a result, he decided to leave Shanti House.